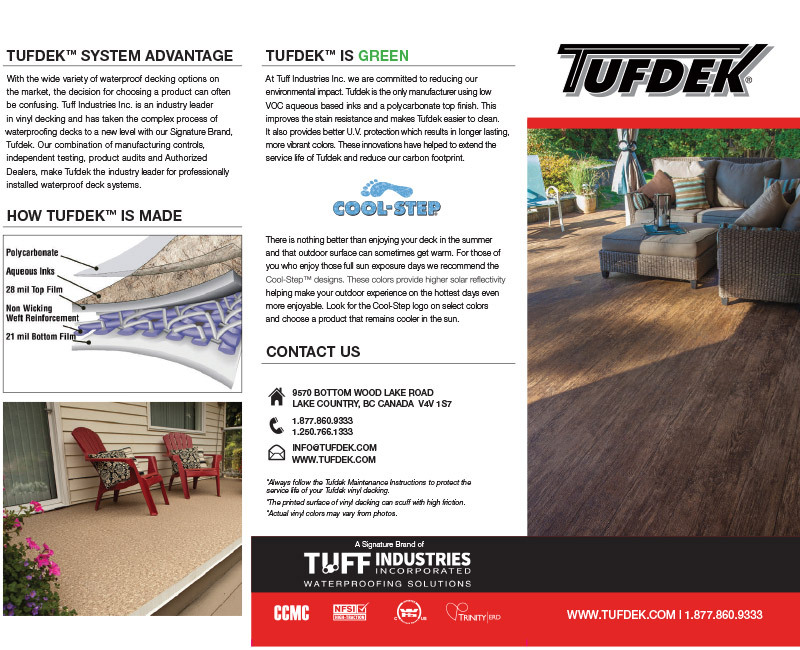 Brochures & product profiles help explain the value of the Tufdek™ vinyl deck system but many people still find it difficult to understand. 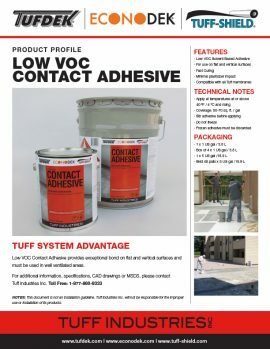 For the majority consumers and contractors, the only familiar concept with regards to waterproofing a deck is some sort of rubber coating or paint found in a pail. 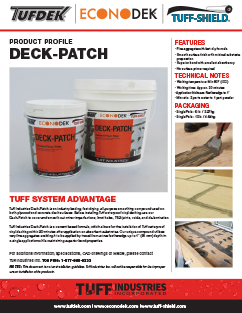 We have designed a far better system which is a bit more complicated than rolling out paint on your deck. 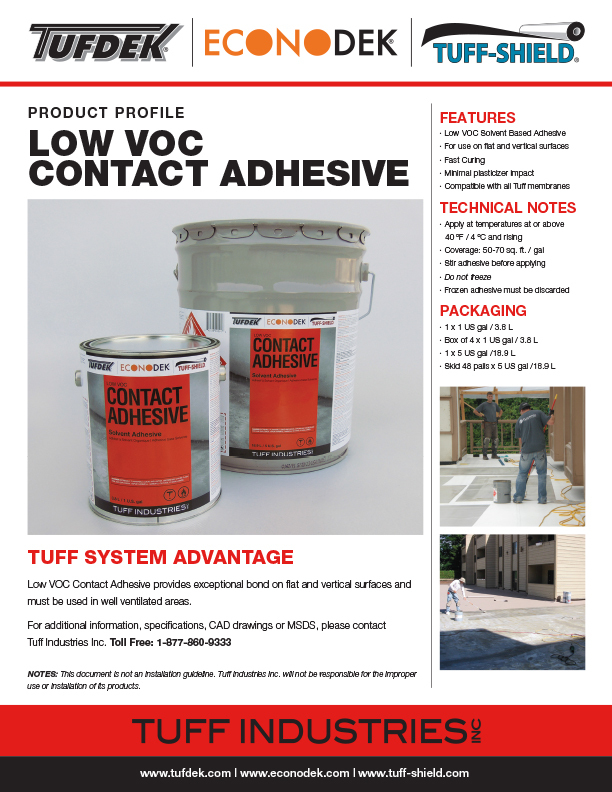 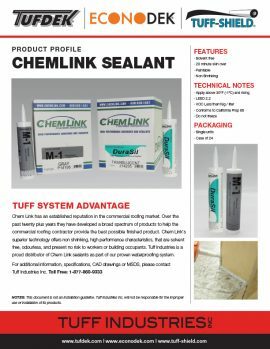 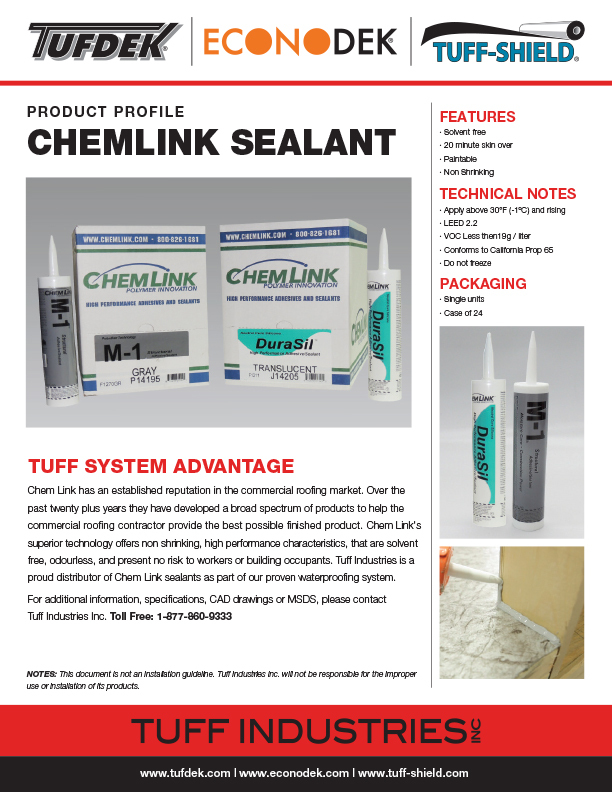 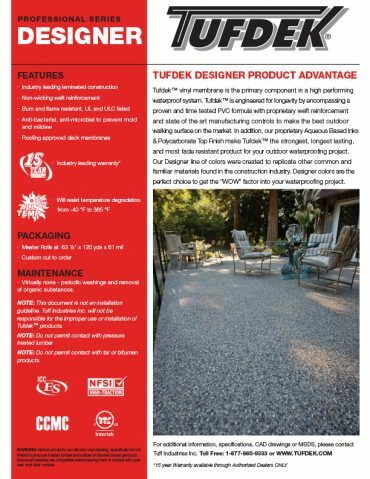 When you have your deck waterproofed with Tufdek it is important to remember that a number of components are used to create the perfect finished waterproof surface. 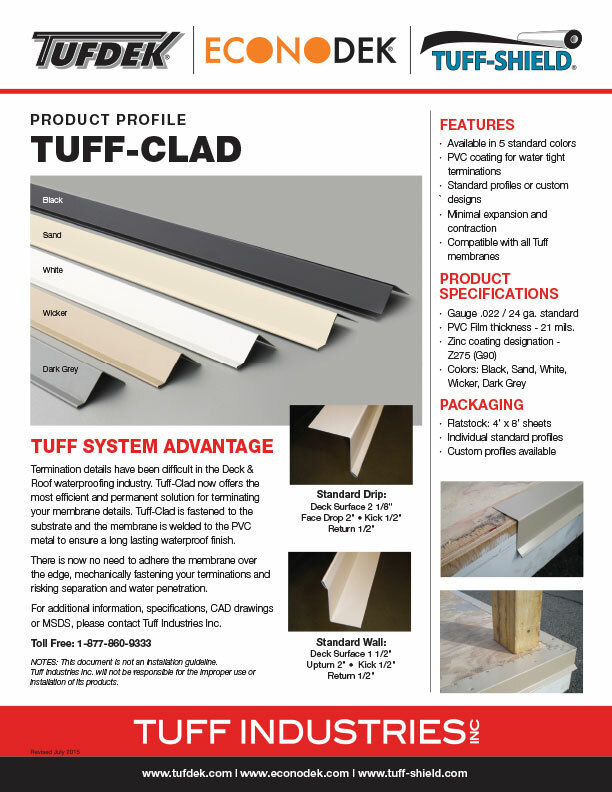 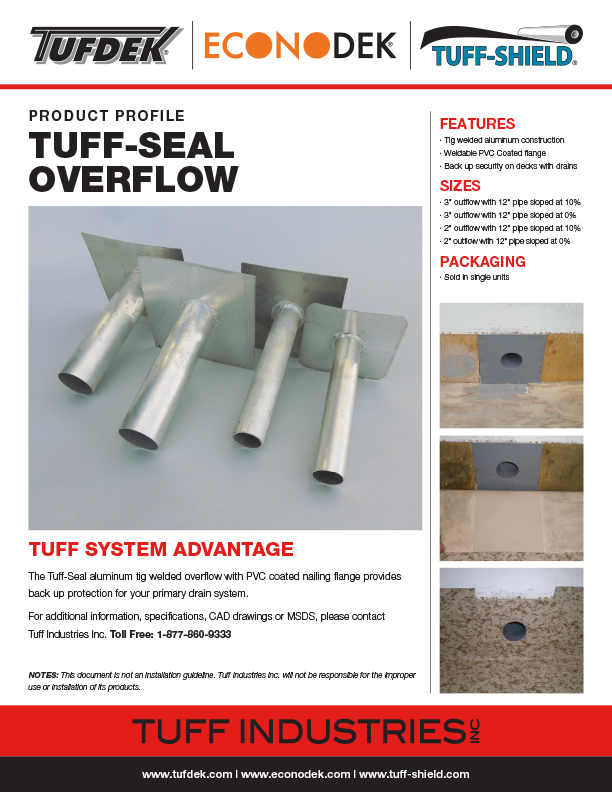 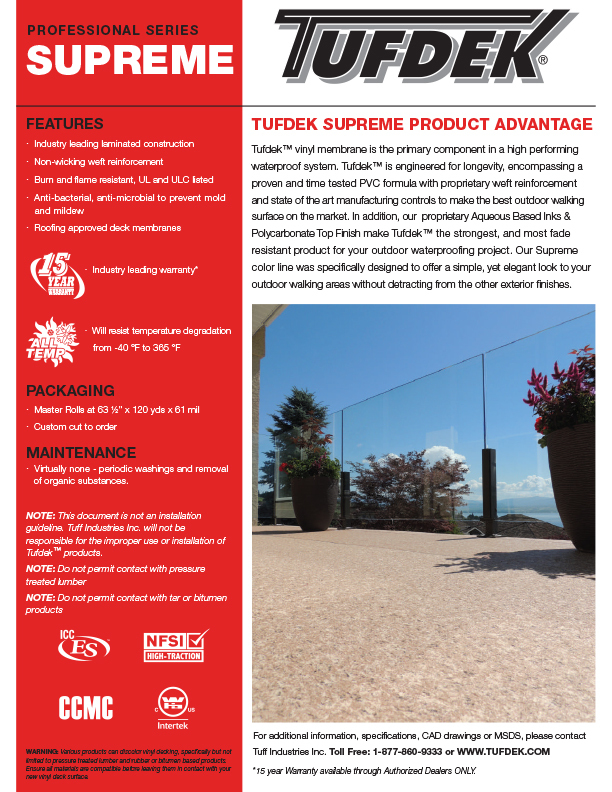 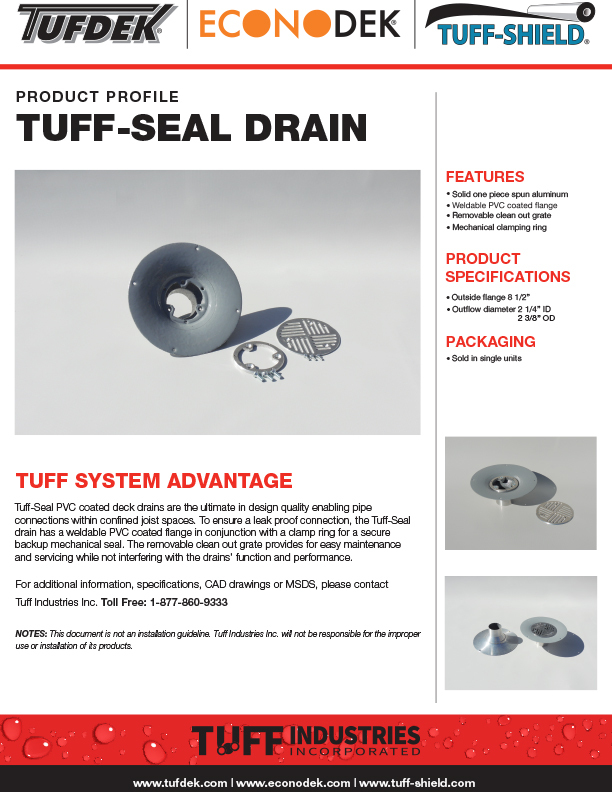 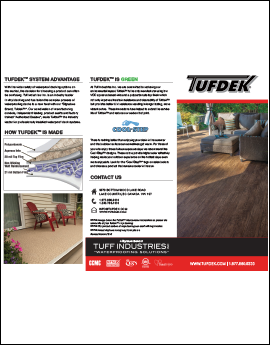 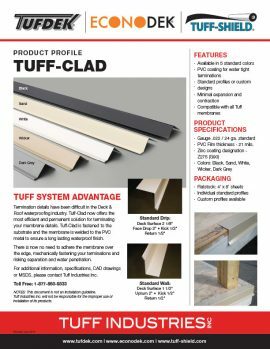 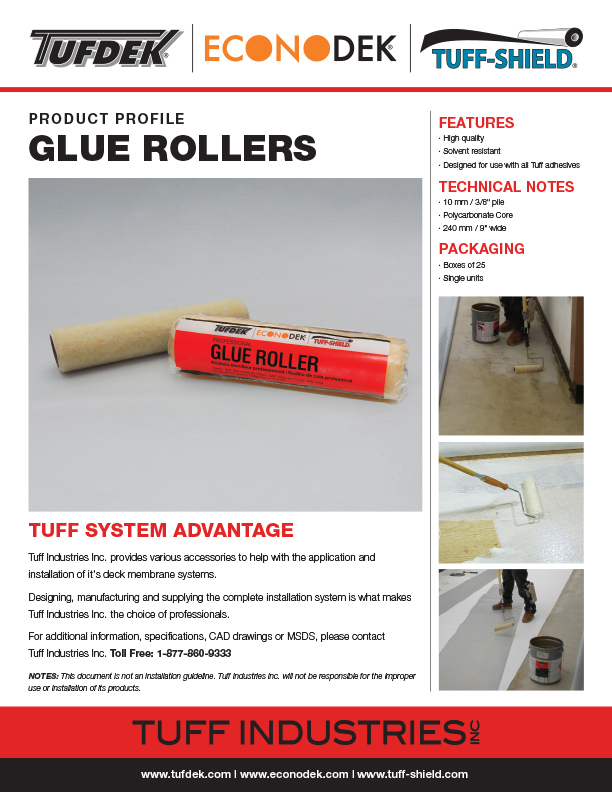 Because Tufdek has a number of components in our deck system, we have created a number of brochures and individual product profile sheets to better explain how each component is utilized in the Tufdek installation process. 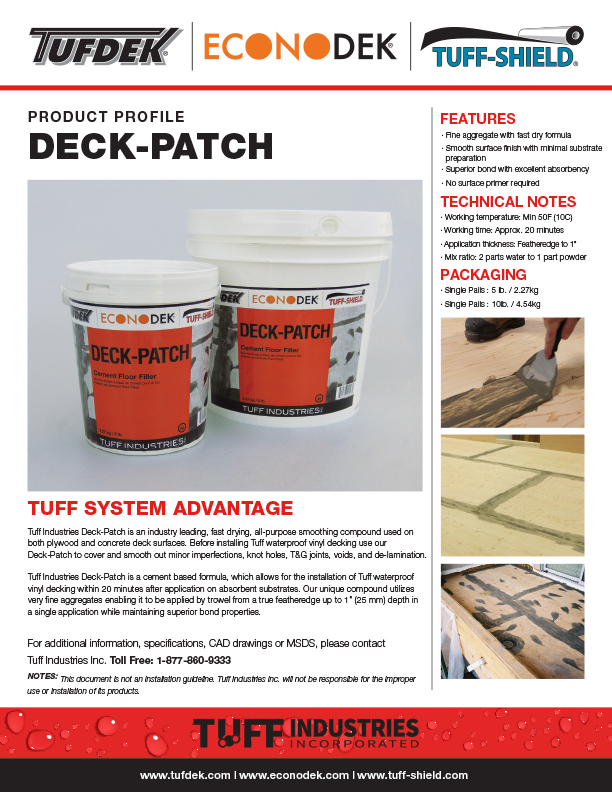 We hope these individual profile sheets, brochures and marketing support documents help to explain the benefits of our superior performing deck waterproofing system. 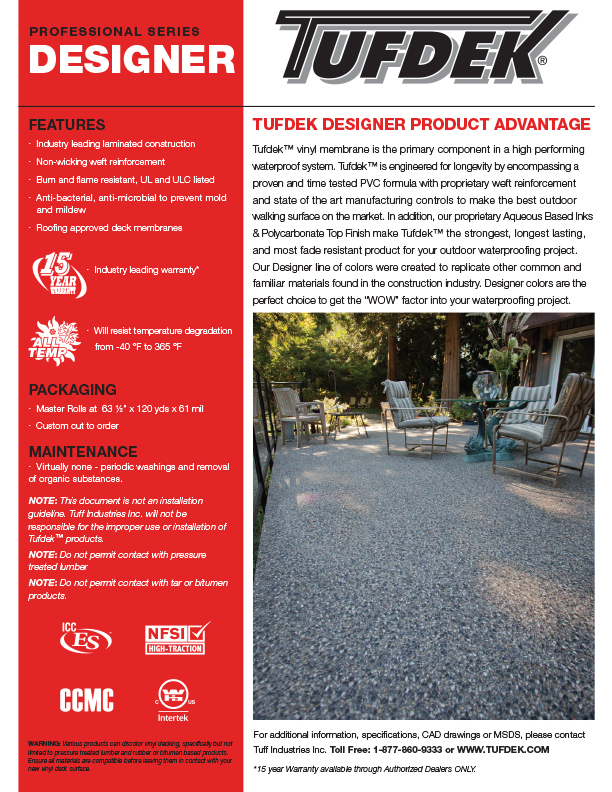 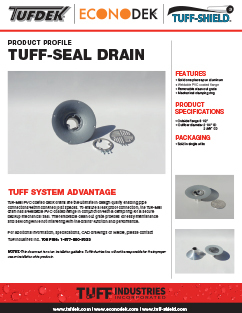 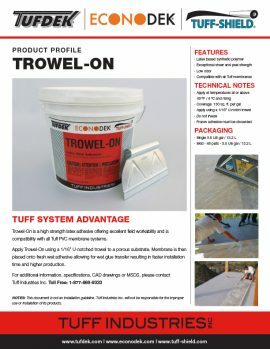 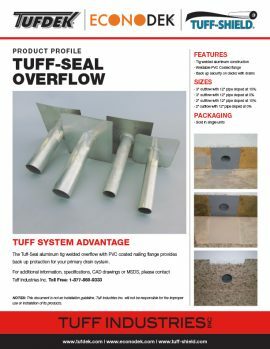 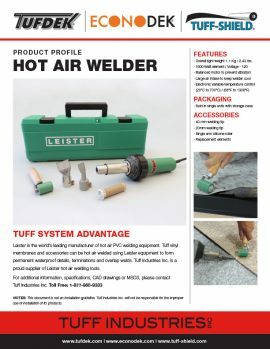 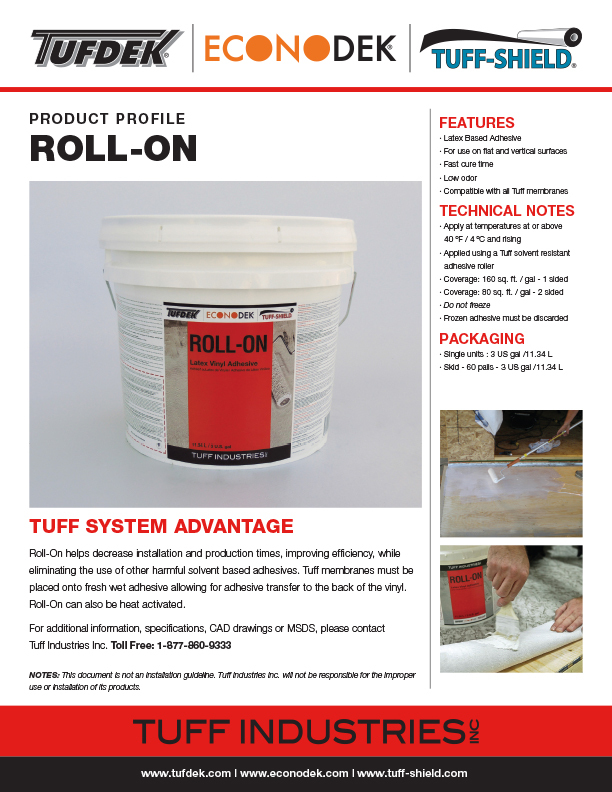 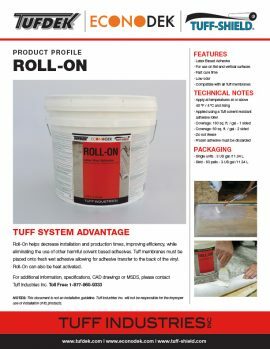 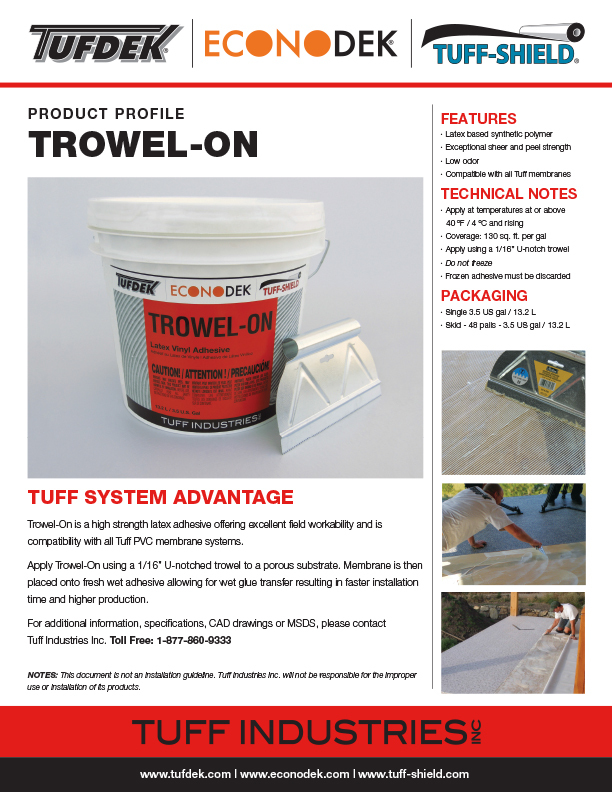 Please take the time to review or download all our Tufdek brochures and product profile sheets.